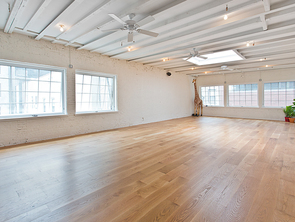 Welcome to your new Greenpoint yoga oasis, New Love City! This boutique neighborhood studio is filled with natural light and eclectic music, not to mention vinyasa classes and killer instructors that will rock your body on the mat. New Love City takes a fresh concept of wellness-forward yoga studio-meets-co-working space, and infuses it with a big personality and welcoming vibe. This studio is dead serious about creative, challenging sequencing and strategic integration of music for a whole experience on the mat, so prepare to sweat, and prepare to fall in love with New Love City. Why We Love It: This is power Vinyasa that will make you sweat, and will make you want to stay awhile. Don’t worry, there’s no need to rush out of the door of this gorgeous space right after class: the fine folks at New Love City have created a community environment that encourages students to mix, mingle and truly integrate into the boutique neighborhood space with fellow yogis. Why It's So Effective: Classes are up-tempo and intended to be tough for all levels, whether it's your first or one-thousandth chaturanga. New Love City's instructors were hand-selected for their unique capacity for inciting powerful change, and help you challenge your bod and rewire your brain for wellness. Each instructor brings their own spin and sequencing to class, making for variety that nips fitness plateau in the bud. Know Before You Go: Be on time! Late-comers risk getting shut out – literally – as the instructors need to close the door so they can teach. Once you’re there (on time!) New Love City will provide you with Manduka eKO Lite mats and towels, so just BYO water bottle. Don't Miss: Are you a work from home kind of yogi? 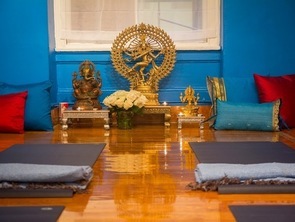 Lucky for you, New Love City is a yoga studio-meets workspace kind of place! Take a moment to check out the studio’s co-working offerings, because let’s face it: having it all definitely includes lunch breaks in your office’s built in yoga studio. Added Bonus: This studio knows exactly what you’re hankering for in between savasana and happy hour: make a stop by the dry shampoo bar for a quick pick-me-up for your locks, or enjoy the Aesop products in the shower. Ready to fall in love? Reserve a class at New Love City today!